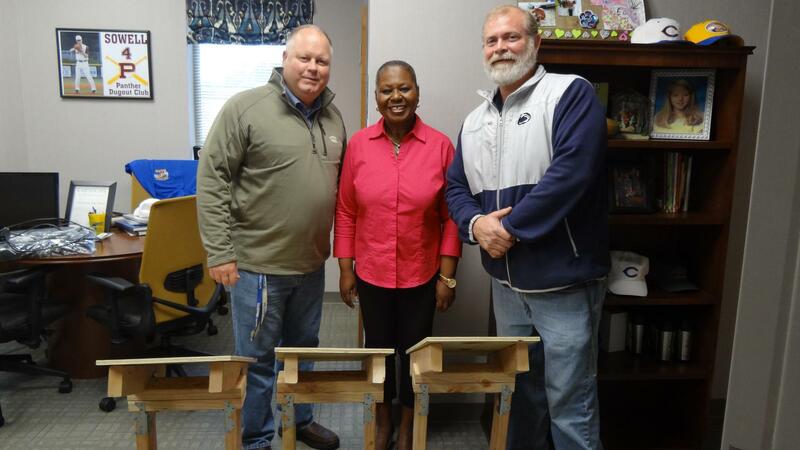 Latest News » Crisp County High School Agriculture teacher completes project for FEMA. 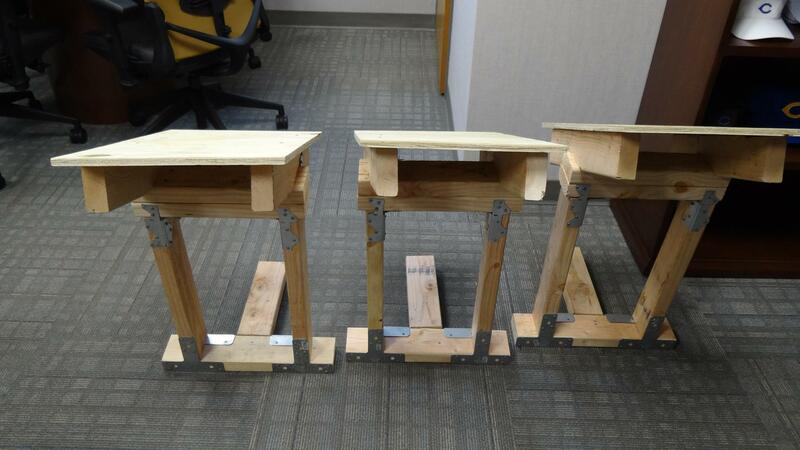 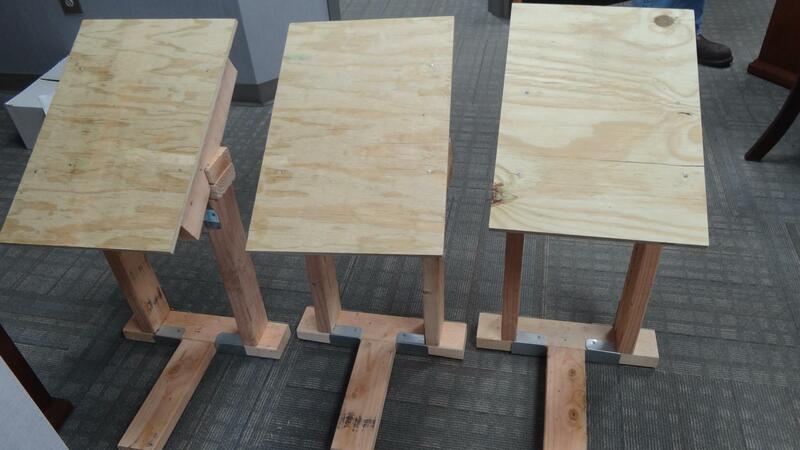 Eric Dixon, Ag teacher at CCHS, built sample roof support structures to be located at building supply vendors for FEMA. 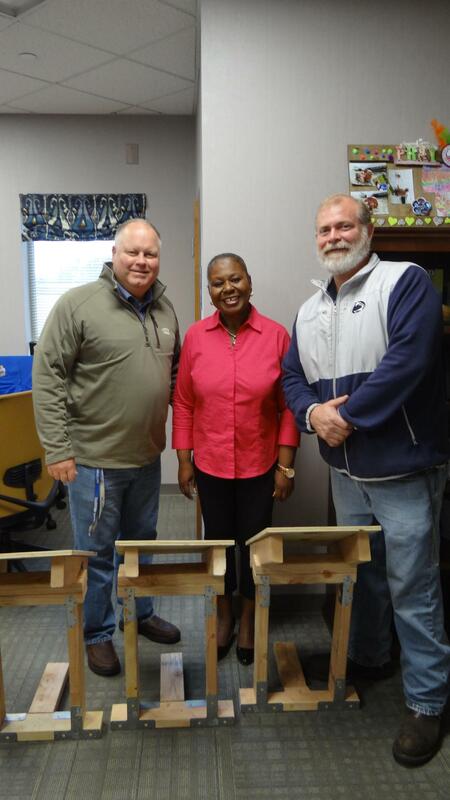 Pictured here are Dr. Rusty Sowell, CCHS Principal, Eric Dixon and Paulette Hammonds, FEMA representative.